Come on out and enjoy some great music! We'd love to see you! Is your band looking for a venue to play? Great Rates - Give us a call! The team at Katavállo Entertainment Group would like to extend a warm, heartfelt Thank You to everyone who had a hand in making the 2nd True North Emerging Artist Showcase a huge success. 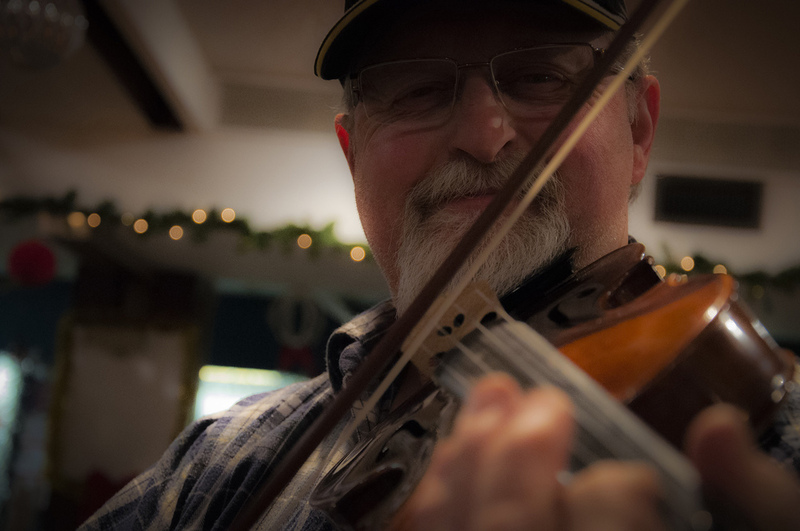 Fiddler's Roost welcomes all musicians and spectators. Whether you're just starting out or a professional, if you're looking for great people and great music, please come on down. Open Stage. Typically country, roots, folk and bluegrass music is played, but all styles and skill levels are welcome including vocalists, and there are plenty of back-up musicians to help you out if you like. You just need to ask. Bring your dancing shoes. Spectators and music fans are welcome. Starts at 6:30 pm. Cover charge of $10.00 and free coffee. A fiddle circle jam. All levels of musicians are welcome, sometimes supported by guitar and bass (depending on who shows up). As this is a fiddle jam, we ask that only fiddles are played. If you would like to support the fiddlers with an acoustic rhythm guitar or acoustic bass, we welcome your talents. Spectators and music fans are welcome. Starts at 7:30 pm. Cover charge of $10.00 and free coffee. An acoustic circle jam. All players sit in a circle and take turns with everyone playing along, just like in your living room. We have microphones and a sound system to help out. We typically play country, roots and bluegrass styles, but all styles of music are welcome. Only acoustic instruments please. Spectators and music fans are welcome. Starts at 7:30 pm. Cover charge of $10.00 and free coffee. Over the past five years, our rent, utilities, and operating costs have all increased. We have been approached by a number of regular patrons, who have suggested that we increase the admission to $10.00, (effective March 4, 2019). This would greatly help us keep Fiddler’s Roost open for your enjoyment. Fiddler’s Roost is a not for profit organization ind is run completely by volunteers. We value your patronage and hope you will enjoy many more evenings with us. The Northern Bluegrass Circle Music Society, on their 20th anniversary, has recognized Fiddler's Roost for their longstanding effort of promoting, preserving and presenting bluegrass music and all local musicians. This award was presented in November of 2016.